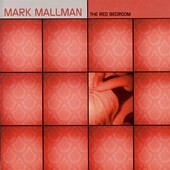 Minneapolis pop songsmith Mark Mallman's The Red Bedroom is a captivating collection of tireless pop. It is hook-laden and lyrically strong containing the kind of songs you get stuck in your head, and love it when it happens, because you can take the songs with you in places where your CD player just can't go. And when you end up singing the songs out loud, you're not embarrassed, because they're from a quality artist that will surely leave a mark on his respective genre. If The Red Bedroom is any indication, Mallman will leave his mark on pop within a few years. Mallman's lyrics shine through as he offers up reflections of personal and universal truths, singing them with his sweet, tender voice, paving the way for hook after hook. The songs are easy and calm, but aren't afraid to branch off into rock. Though softer pop is Mallman's specialty, when he spices the numbers up with a dash of rock he still sounds damn good. Nothing can beat him when he's on with a pop song. I'll give this an A. Mark Mallman: Mr. Serious Mark Mallman: Who's Gonna Save You Now?